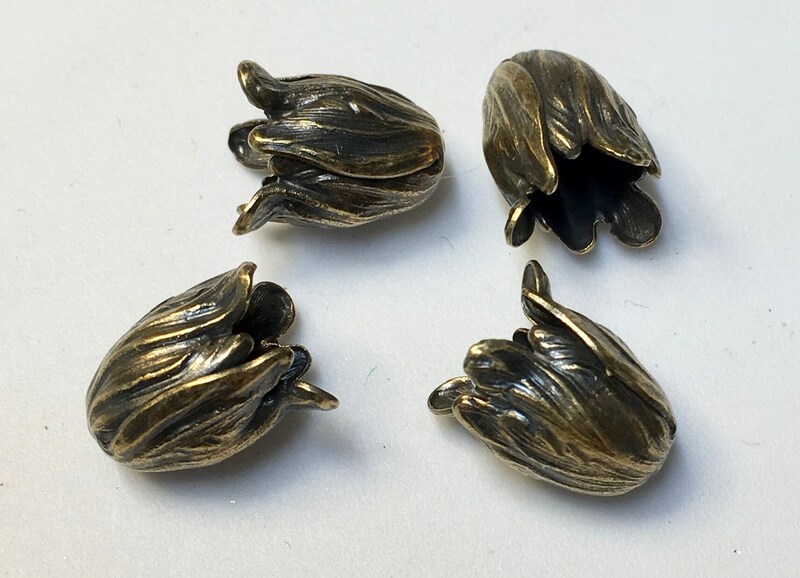 Beautiful small tulip bead caps, antique brass, made in the USA. You will receive 4 bead caps. 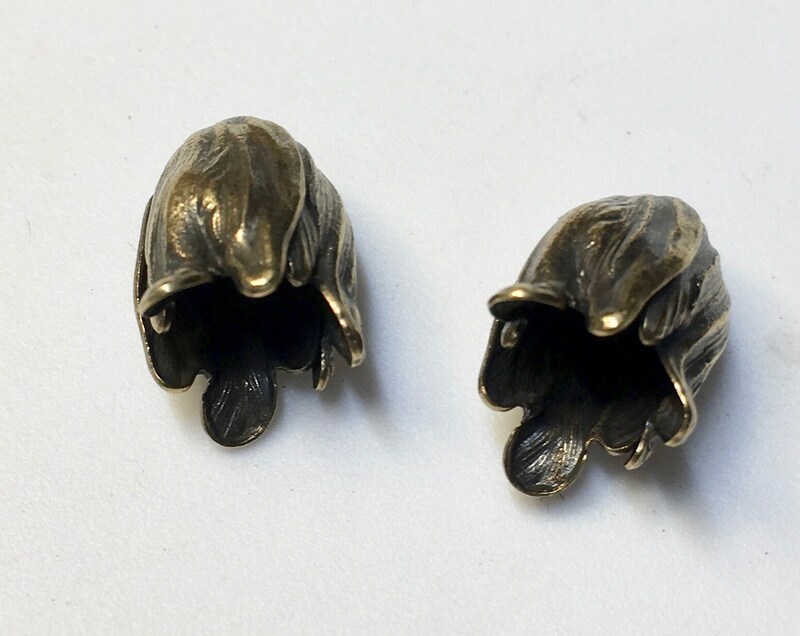 Beautiful detail on these bead caps. Thank you! Beautiful, high quality bead caps. Fast shipping.